Unlike the leagcy BlackBerry devices, the new BlackBerry Z10 brings to us OTA updates much like the PlayBook or applications from the BlackBerry World. Hence, whenever a new BlackBerry 10 OS update is released, make sure to install it on your smartphone so that you can take advantage of any available optimizations which can help improve your battery life. Typically, you’ll receive a notification of a new update, but to check for updates manually, open Settings, tap Software Updates followed by Check for Updates. Note: Of course, this would not hold true for ALL the OS’s released, however, its always good to stay up to date as security patches and bug fixes should always been introduced with each update. While the radios on this smartphone is designed with efficiency in mind, turning on-off Wi-Fi, Bluetooth or NFC as well as changing your cellular connection to use a different network technology may not improve battery life. We recommend using Wi-Fi whenever possible because it offers substantial power savings, so make sure you are actively adding Wi-Fi networks and hotspots to your smartphone as you come across them. 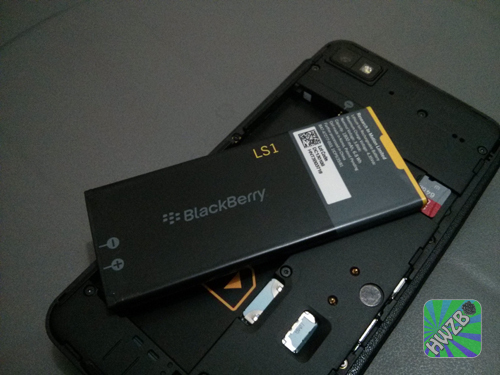 Even though the BlackBerry Z10 smartphone is designed make efficient use of the battery; however, you should still follow best practices to maximize your battery’s lifespan. Always use an official BlackBerry charger. Try to charge for an extended period of time when possible, avoid charging in small increments (i.e. less than 15 minutes). Also, do not your leave smartphone in direct sunlight (i.e. your vehicle’s dashboard) or in extremely cold temperatures. Whenever possible, it is recommended that Active Sync or IMAP is used over POP when setting up a new account because they are more efficient protocols for a mobile device. If you have set up multiple accounts that support email, contacts, and calendar synchronization, enable synchronization for accounts that you only plan on using; this will ensure that any activity that occurs is necessary. To review account synchronization settings, tap Accounts within Settings followed by tapping the account you want to customize and/or delete. Note: indeed, LED notification does eat some battery – after all its light and will need to consume power! Note: Personally, I use it at the lowest possible setting! Depending on which of type case or holster you are using, putting your BlackBerry Z10 in it may or may not turn off the display. On top of protecting your smartphone, using a case that turns off the display is a great way to save battery life. To browse a variety of these cases, visit http://www.z10.ourberries.sg or check the available cases that we have reviewed! Note: If your screen does not turn off when you insert your BlackBerry Z10 into the case or holster, verify that you are using an official BlackBerry accessory. Else, contact the manufacturer/point of purchase for additional assistance! Memory is used by the device to install applications, store the OS as well as to cache information. Yes, it is also used to hold media and some application’s settings. Its not advisible to have the memory to be filled to the brim, be it device or memory card. Its a good practise not to exceed 3/4 of the total memory. Note: The faster the memory (card), typically, the less energy is used. However, there is also a limit to this. There’s no need to purchase the best or highest end cards, however. The mobile smartphone arena for now, however, does not support UHS-I format, and z10 is included. Which means, speeds are limited to about 20-40mb/s maximum, hence even if the card is able to write faster, the speed is still limited and we won’t see a difference in performance. Thus, a class 10 card is really sufficient already since all the cards boasting speeds of 40mb/s, 70mb/s and so on, are actually running on UHS-I interface which mobiles currrently do not support. Whilst it would be a good investment for the card reader or using it with other devices (UHS-I capable), if its staying within the device most of the time, then, just keep the cash! Note2: the more memory is used, the more data the device will have to scout for. Hence, a slower memory card may restrict the process causing the device to consume more power. Overtime, memory can also get fragmented from the installing and uninstalling of applications or movement of files. Hence, occasionally reinstalling the OS can help reduce clutter and memory fragmentation. Different email setup behaves differently, except POP3, the other 3 would be 2-way sync. Hence, any changes done on your PC/device will apply to mail server and other devices that connect to the same account using similar 2-way sync methods. Microsoft ActiveSync is more preferred because it is a realtime ‘push’ service, changes done on mobile phone are immediately sent to server. Word has it that Google may stop supporting ActiveSync from this coming summer though. IMAP and CalDav are actually pulling mails from server upon receiving a specifical notification from server side when there is a new mail enters your account, since the connectivity is triggered by new mail notification, your changes on mobile phone like deleting a mail will not be sent to server untill you have a new mail in. This is a must read for all Z10 users our there. Thanks for the tips bro.